Saxwerk has signed an agreement with Siljan Timber about a new biofuel-powered energy plant for their killns, as well as energy for the district heating network in Mora. If you have questions about this article, please contact Tomas Wendt, phone: +46 8-500 666 95. 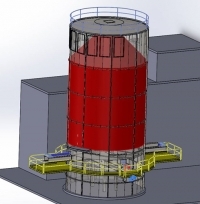 Norrskog in Hissmofors has ordered a new fuel feeder for their furnace. If you have questions about this article, please contact Olof Eriksson, phone: +46 8-500 666 91.